University House Fullerton is a student housing development located one block from California State Fullerton’s campus. The project has 350 units and 1,189 beds in one, two, three, and four bedroom unit configurations. The project offers by-the-bed leasing and fully furnished units including a flat screen TV in every living room with all utilities, cable and internet included. 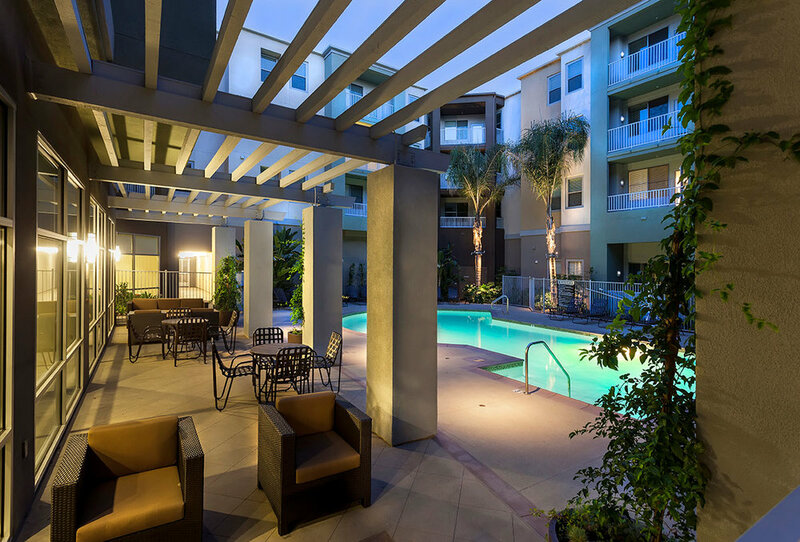 Common area amenities include a resort style pool with cabana styles lounges, internet bar, group study rooms, multi-level gated garage parking, and hi-tech gaming lounge with multi-screen TV wall. University House Fullerton is a GreenPoint-Rated community and offers community recycling programs.